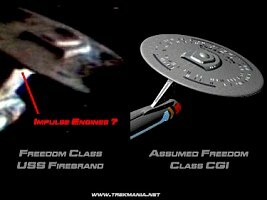 We know from the Star Trek Fact Files that the Freedom class is supposed to be a Galaxy-era ship design with only one nacelle. The USS Firebrand of the Freedom class was supposed to appear in the Wolf 359 debris field. Bernd has identified the Freedom-class USS Firebrand as the ship in the upper left corner in the total of the graveyard scene after the Freedom schematic had been shown as a single-nacelled vessel in the Fact Files. 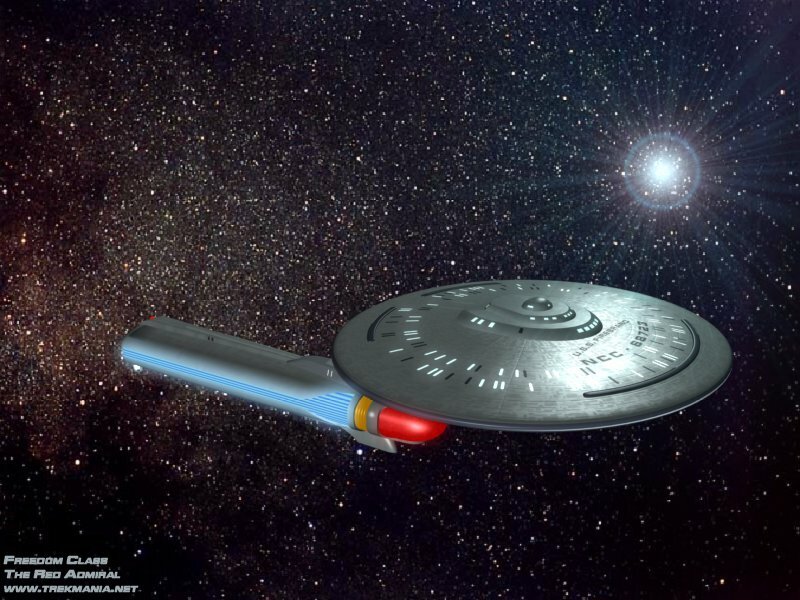 Actually, the Fact Files depiction of this ship seems to be fairly accurate. Even the superstructures on the custom-made saucer are correctly reproduced; they only seem a bit small relative to the saucer. This ship was already built with all the damage by Greg Jein. There is definitely only one nacelle of the Galaxy type. The neck might be taken from the Constitution, but the screen cap doesn't reveal any details. The neck is rather thin and probably not taken from the Galaxy class. 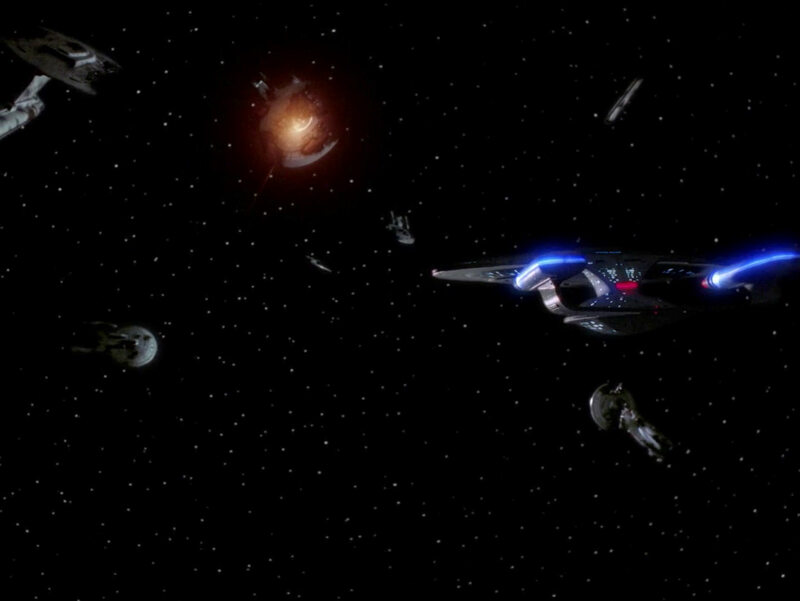 Note that this very screen cap is not from the American TV version where the nacelle isn't visible at all, but from the DVD where the same scene is about half a second longer. 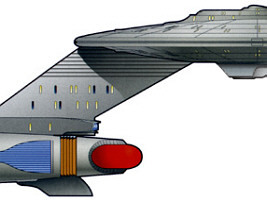 The Freedom saucer superstructure apparently consists of two decks, rendering the whole ship quite large (430m long), and the nacelle could be a full-sized Galaxy-class type in this case. 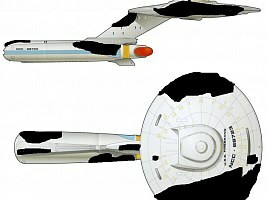 The windows in the neck in the Fact Files image suggest a smaller size of the ship, though. On the other hand, we can't see any details on the neck in the screen cap, whereas the two decks on top of the saucer, probably bridge and shuttlebay, are quite clear. As Greg Jein obviously put a lot of work into the model, it is likely that on the actual model the windows and decks are in scale to the rest. 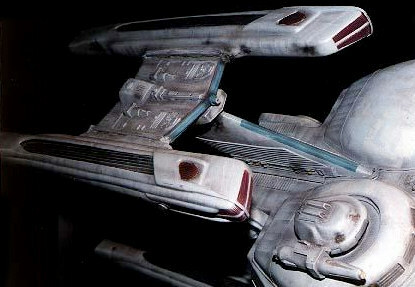 There is one image of the studio model from the TNG DVD which may serve as a basis of future refinements of the schematics. Masaki has created an illustration of what has been used to build the Freedom. 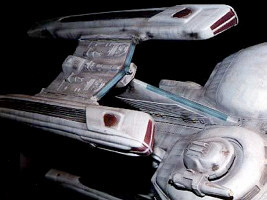 Greg Jein used one 2-foot Enterprise-D studio model warp nacelle and probably a dorsal neck from the 3-foot Stargazer studio model. The main saucer and some small parts were custom-made. One detail we didn't spot back in 2001 is some sort of cannon pod on the ventral side of the saucer, instead of a sensor dome. 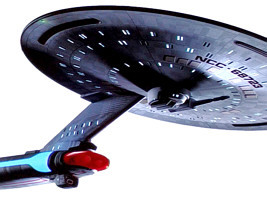 The CGI made for the Eaglemoss Official Starships Collection includes this cannon. 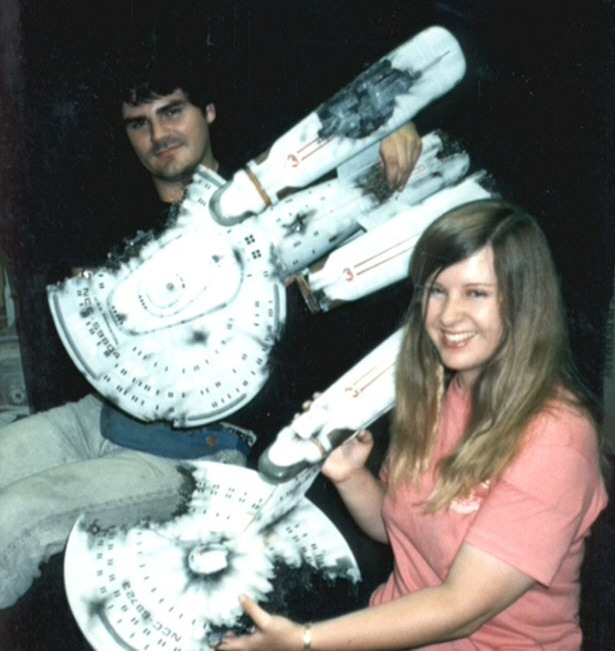 We can barely make it out on the only official photo of the ship too. But we already know this cannon. 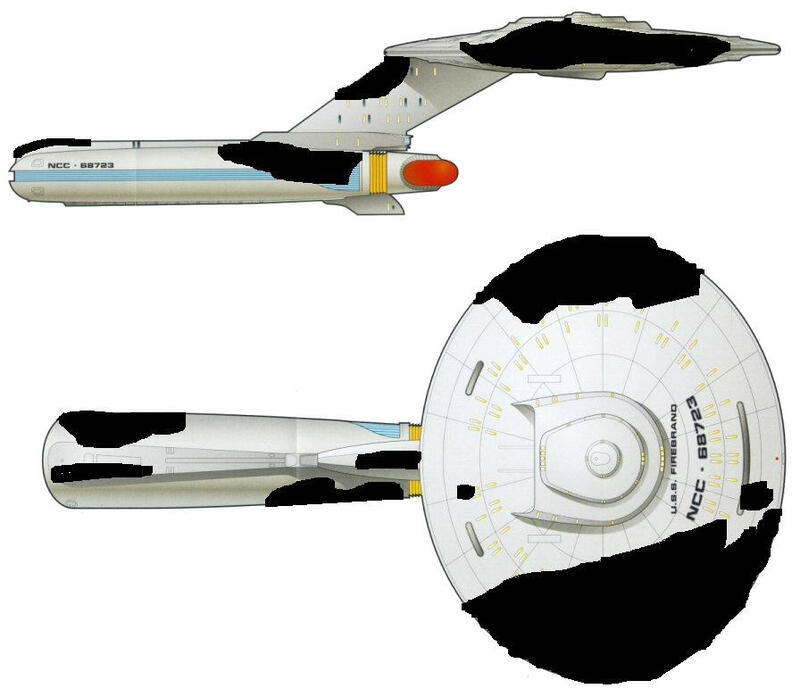 The same detail can be found on the ventral side for the Constellation-class filming miniature. 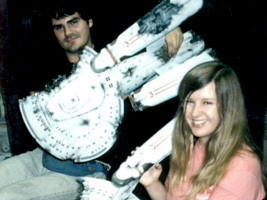 So while Greg Jein was at it, he did not only create a cast of the neck but also of the cannon. We have identified the Freedom-class USS Firebrand in the Wolf 359 debris field. The depiction of the ship class in the Star Trek Fact Files is largely correct. 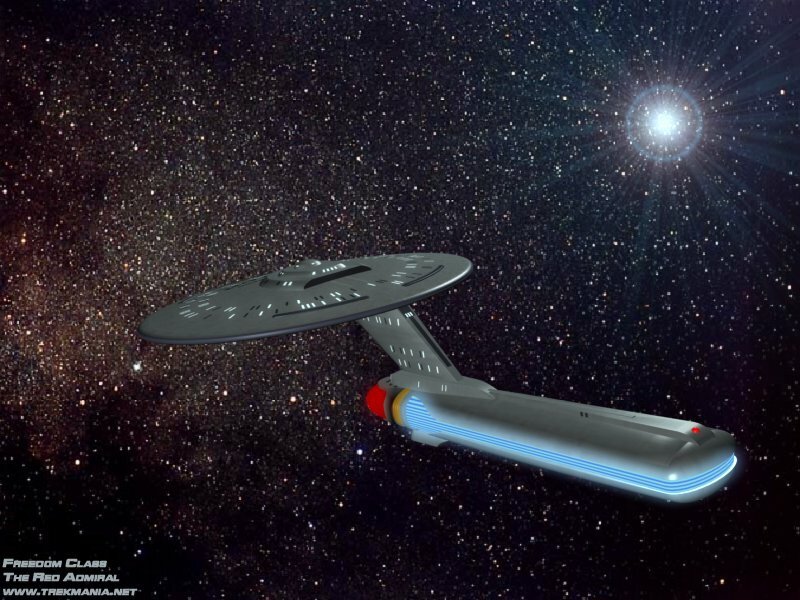 We assume that the actual ship has a single nacelle of the same type and size as on the Galaxy class. This fits well with the deck height on the saucer superstructure, and it would render the ship about 430m long. Thanks to Joshua Wright for some information and pics. Freedom class model built by Stephen L.